I have just bought a new helmet - a Protec B2 Wake water helmet - to replace the old Gath surf helmet I have been using since I started kitesurfing. The B2 Wake has much better padding inside it and a standard rating. I have worn it once and it feels good. It feels less like a space helmet on my head and is pleasant to wear. It also has ear protection pieces that can be removed if you wish. At around $120 from The Zu Boardsports I think it was good value. How much is your brain worth? The first south easterly for this Spring, and it was nice. I headed for Mentone and met Franz at the beach. We figured Altona would be quite crowded given the wind direction. I couldn't resist a Kransky sausage with sauerkraut and mustard before the session from the sausage caravan vendor there. It was really nice to have a side onshore breeze and some sunshine. There were a few windsurfers out too. 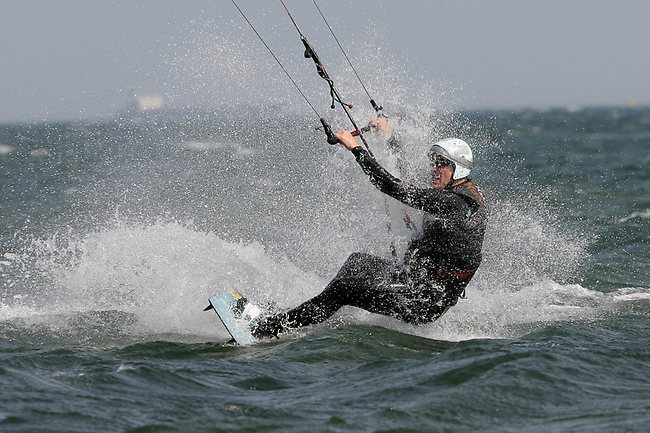 Franz blew out a fin box which cut his session short, but he provided this photo of me kiting. I did some nice jumps when the wind picked up, but there did not seem to be enough to do some good air gybes. I did a few and barely got off the water. There was a nice small surf close to the shore and some big rollers further out. I attempted a backroll and succeeded in only doing half one - more commitment required. At one stage there was about 8 kites on the water and around 5 windsurfers. Almost crowded! It was a nice long session at 1.5 hours. Up on the grass I was packing away my kite when another dude landed his right next to me. I don't know why he didn't just land it on the beach and walk up the path. There were power lines and Beach Road only a few meters away. Not much in the way of skills progression today, but a very satisfying session. 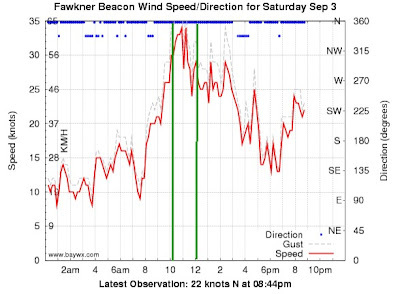 A strong northerly blew all day in Melbourne. I headed down mid afternoon and had a great session. I spoke to Natalie Clarke who had just come off the water - she said she was a bit overpowered on her 8m kite, so I decided to use my Crossbow 7. 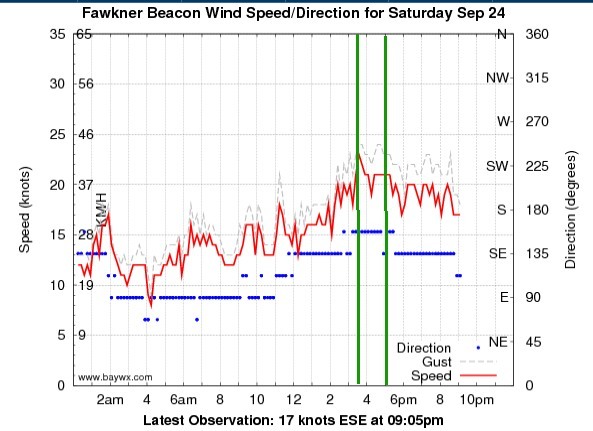 It turned out to be the right choice - I had plenty of power - and a bit of wind range up my sleeve if the wind picked up further. The wind was gusting up to 35 knots at times, but was not too gusty. 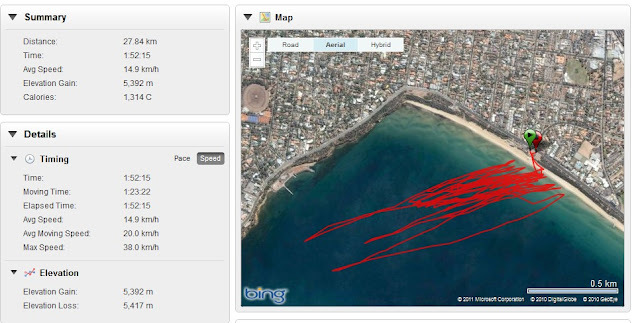 I headed upwind towards the Brighton Baths, then did some nice downwind runs back to the beach. I did a few small jumps, a bit wary of getting boosted too high. I used my 1mm suit for the first time this season, it was OK once I was up and going, but a bit cool in the water. Its best to be nice and warm in case you end up doing a long swim . . . I got some nice photos of other kiters off the beach. 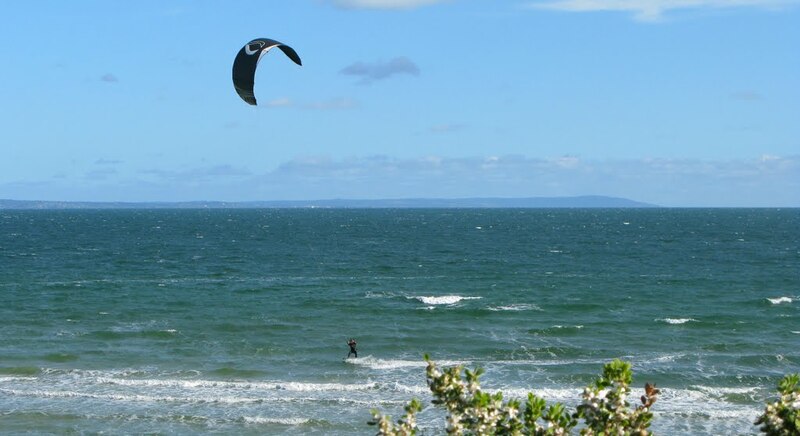 A kitesurfer was reported injured today at Brighton in The Age. on an inner Melbourne beach this morning." "The 29-year-old man was kite surfing at Brighton beach when a strong gust of wind picked him up, hurled him through the air and sent him smashing into the ground." "A few people on the beach saw what happened and came to his aid. They had to hold him down until they released his harness because the wind gusts threatened to send him into the air again." 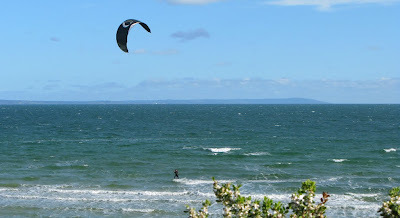 "The kite surfer was taken to The Alfred hospital in a stable condition." deployed his safety after being lofted and impacting the beach (contrary to the news report). 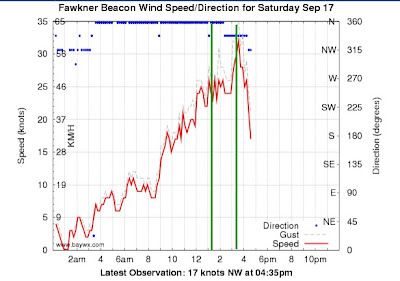 I have had a few good sessions at Brighton recently, but over the last couple of days of gale force wind warnings - which have gusted up to 45 knots - I have not gone out. You can see how strong and unpredictable recent winds have been in the images below. 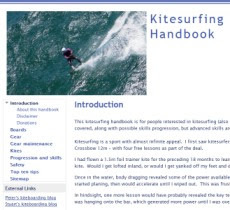 I have also posted warnings on this blog about exercising great caution when kitesurfing in northerlies at Brighton, and in storm fronts, as documented in my Kitesurfing Handbook here. So please spread the word - if in doubt, don't go out. And if don't have at least 1 year and 30 sessions experience, don't go out in these conditions either. Let's keep kiting happy and safe. After a great ski trip at Mt Hotham last weekend it was great to get on the water. It was almost crowded at Brighton. 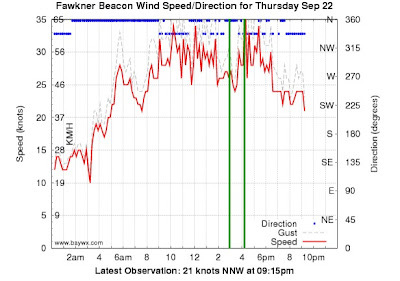 The northerly was strong and consistent, and gathered strength during our session. Stuart and I went upwind to get some flatter water near the breakwater of the marina. It was fast and furious at times. I did quite a few jumps, as you can see from the photos, exercising some caution to avoid ditching the kite and a long swim back in. I did my first good jump transition today too! It has taken awhile to get it sorted. Resetting the board in the air helped a lot - similar to how you do a direction change - and having enough power to do a small jump and hang. The tricky part is getting enough air when you cut off all your speed, then resetting the board and flying the kite back the other way. Nice! It was rather crowded just out from the beach. Some kids were getting about between kite lines while people were launching. Not good. I told one lady to keep her little girl out of the way and upwind. I had the Switchblade 10 fully depowered for the whole session, and end up almost overpowered. One guy was pumping up a 12. I advised him to fly a smaller kite. He came back in after a few runs and got his 7. 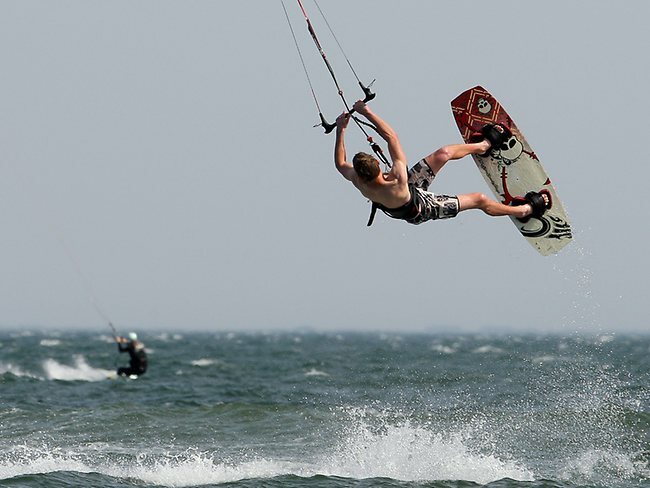 The were some guys getting big air right next to the beach, and doing a kiteloop to land it. Spectacular, but the water is shallow . . .
Stuart got some more pictures for our kitesurfing handbook on rigging lines and some gear shots too. Overall, a fantastic session. Yee ha! 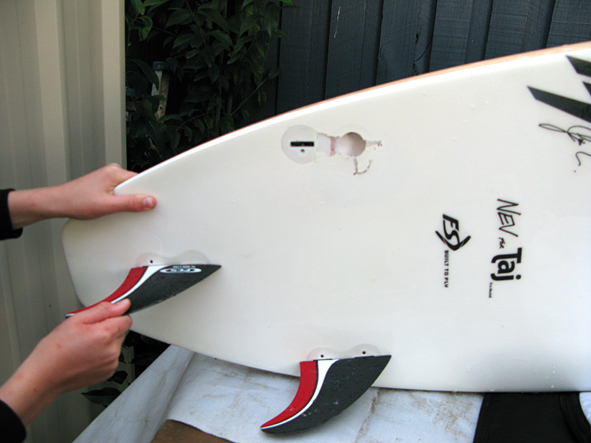 The dangers of kitesurfing in gusty wind conditions have been highlighted by Christelle Le Baccon's unfortunate accident at Breamlea on 13 September 2011. Christelle was kitesurfing with a companion and was caught by a gust of wind and lofted while attempting to land her kite. She was carried into a sand dune and suffered two broken lumbar verterbrae. She is recovering in hospital. I wish her a speedy recovery. "Make sure there is enough room to land your kite and ensure you're doing it in a safe environment." Riding a bucking bronco at Brighton! 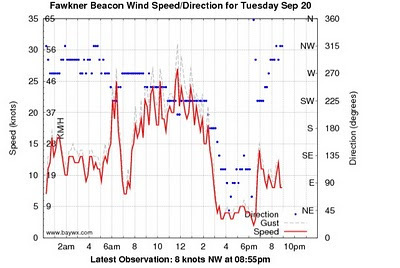 A dangerous session today - very difficult wind conditions. It was very strong and very gusty. It was like riding a bucking bronco. When I arrived a kite was in the water close to the shore. The rider attempted a relaunch, which was a bit "hot" downwind and one of his lines broke, so that was the end of his session. 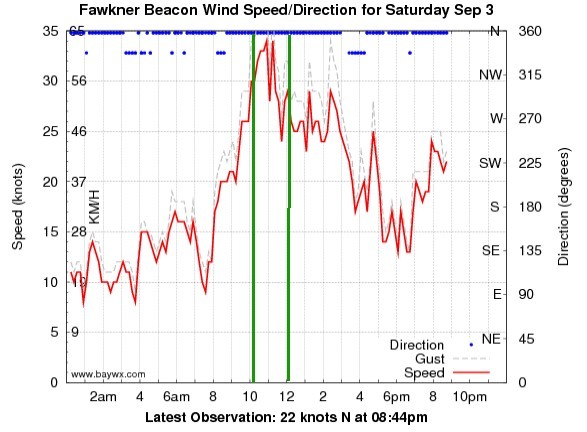 I got on the water at about 10:30 and kited for about 40 minutes in around 30 knots. It was stronger further out and not so strong near the shore. Stuart was out too. We did the usual upwind tack out, then speed run back in with some slalom turns and jumps. 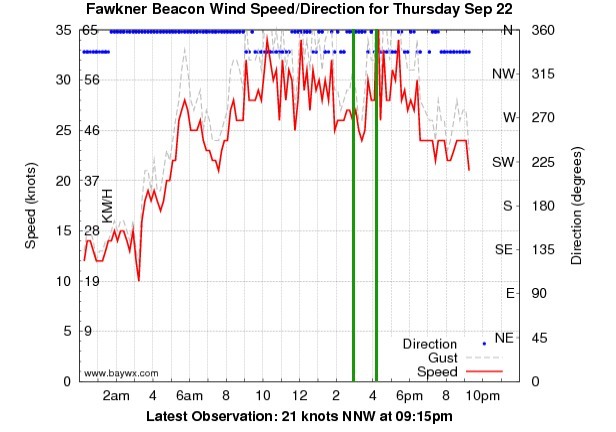 My kite was fully depowered, yet I still had to sheet out in response to the big gusts that were coming through. 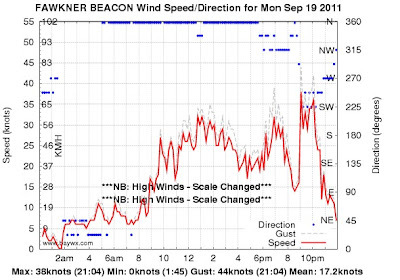 Warning: these conditions are for advanced kiters only, and even then, only with the right size kite. I came in to have a chat to my friend and Yoga teacher Tony Rothberg, who was watching from the beach. While we were on the beach, a kite completely detached from a rider and flew for a while, then landed in the water. It may have been one of the Cabrinha IDS velcro attachments ripping off, or he may have broken his leash (less likely). There was no way we could catch the kite, and going out to get would have been riskly. 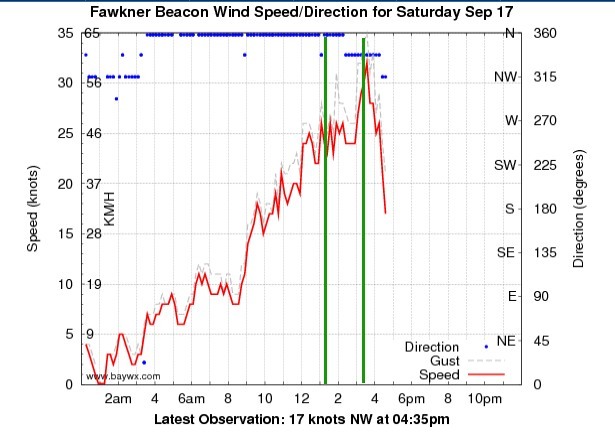 It then blew in toward Green Point, eventually coming into some reef where it flew again briefly then went down hard and stayed down, presumably with a burst bladder. It was obviously damaged and may have been a write off. The kiter (a Frenchman) took off in his car to get it. While this was going on, Natalie Clarke was out having a good time. A Channel 7 news photographer showed up "to get some photos of the wind". He took some photos of Natalie and other kiters. I worded him up about Natalie's great achievement kiting across Bass Strait last years. The photos may make it in tomorrow's Sunday Heraldsun. I headed out for another short session. The wind was even stronger with bigger whitecaps evident. 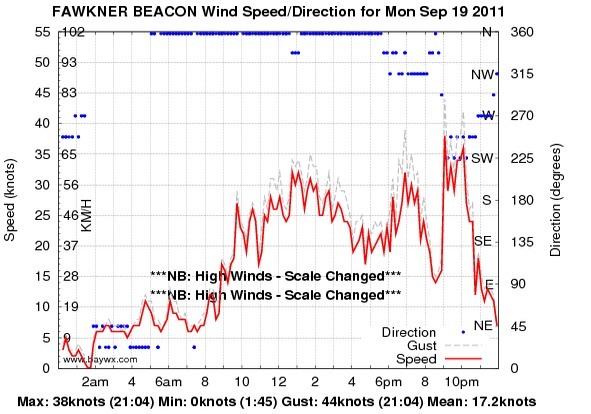 I was powered up, and coming back on a tack decided it was getting a bit too strong, so I headed for the beach and a couple of guys grabbed my kite and said a major gust was coming through. I was very happy to have the kite back on the beach. Another rider commented as he came in that it was "dangerous conditions out there"; everyone agreed.